Litchfield National Park is a must see if you're in the Top End. It's home to several stunning waterfalls that cascade into crystal clear pools, iconic magnetic termite mounds and clusters of weathered sandstone pillars at the Lost City. 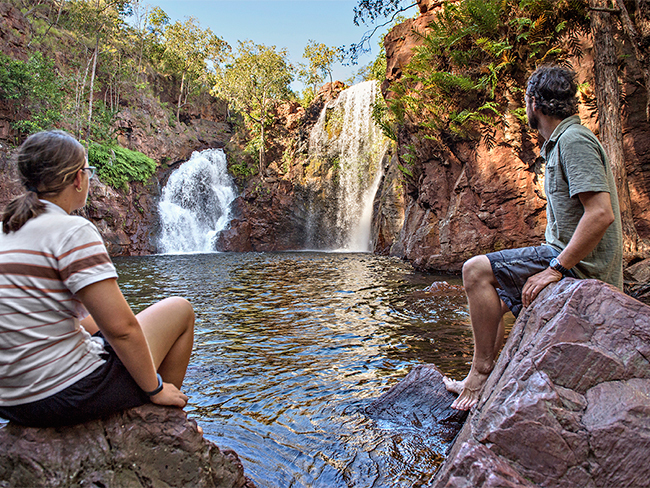 Read more about short walks in Litchfield National Park. If you're looking for more of a challenge there is the 39km Tabletop Track or there are plenty of tricky four-wheel drive tracks. Shelter from the heat in shady monsoon forest in the ancient gorges created over thousands of years ago. It is a haven for hundreds of native bird species and the plateau supports a rich range of woodland flora. Get the Litchfield National Park fact sheet and map (573.2 kb). 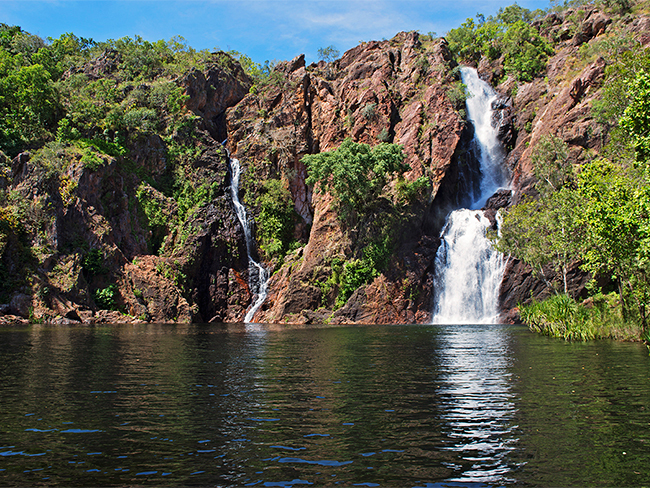 Get the swimming in Litchfield National Park information sheet (574.9 kb). Check road conditions if you plan on driving the Cox Peninsula Road or the Reynolds Track. It is also accessible during the Dry Season via Cox Peninsula Road, which has some unsealed sections, and the 4WD Reynolds Track from Daly River Road in the south. Generators and pets are not permitted inside the park. 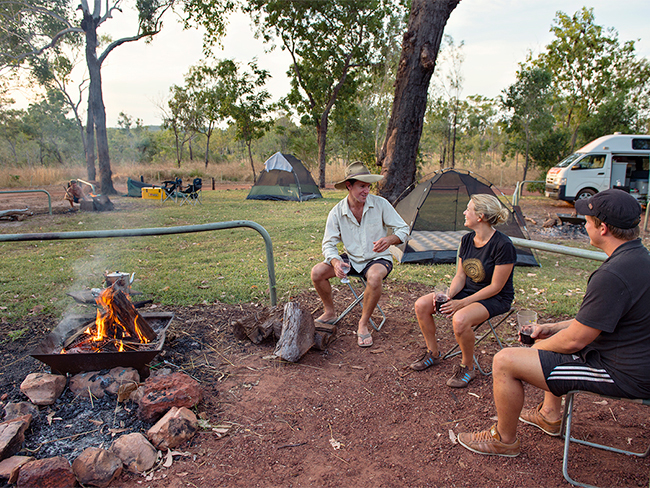 Camping is available year round at Wangi and Florence Falls. Wangi Falls also has non-powered caravan sites. Four-wheel drive camping areas are available at Tjaynera Falls (Sandy Creek), Surprise Creek Falls and Florence Falls. There are walk-in camping sites along Walker Creek, though these are closed during the Wet Season. Commercial accommodation is available just outside of the park. check that you vehicle is not transporting weeds and pests like cane toads. beware of theft, lock vehicles and secure valuables. Do not sit on bare ground or grass as scrub typhus is transmitted by microscopic bush mites on grasses and bushes. Read more on scrub typhus. You should only swim in designated areas.